Resort Lifestyle Living. Welcome to Estrella's cul-de-sac, mountain view home. Short stroll to South Lake & North Lake's Starpointe Club, watching gorgeous sunrises & sunsets. Pride of Ownership. 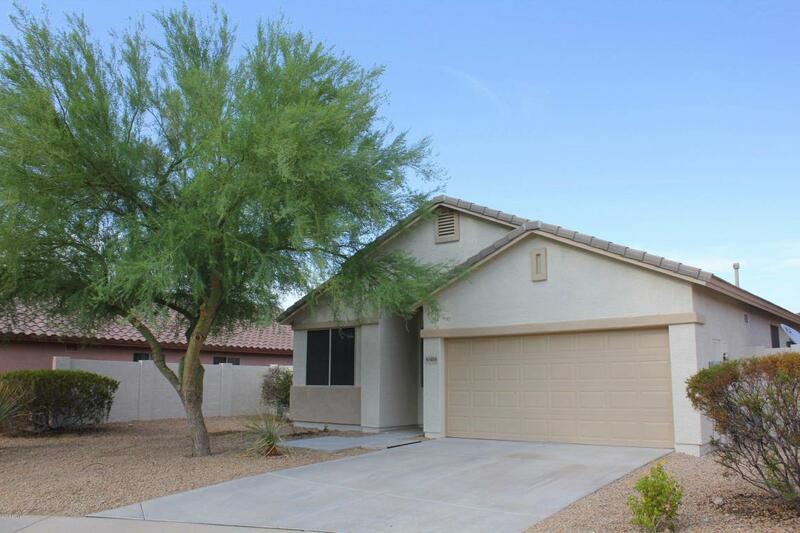 Fully Painted Interior & Exterior, Tile throughout,Updated Lighting, New Door Handle Hardware. Relax on your patio having morning coffee gazing at beautiful mountains. Vaulted Ceilings. 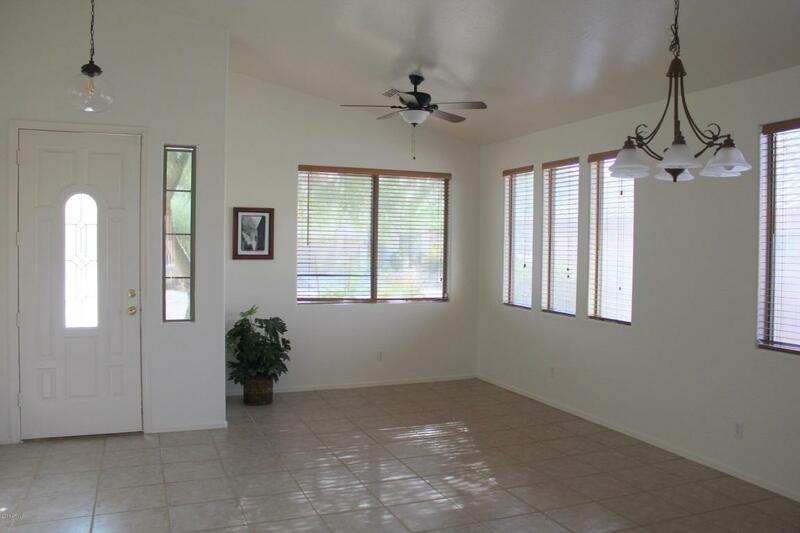 Split Floorplan, spacious Master with sitting area & walk in closet. Perfect Vacation Retreat: fridge, washer & dryer. Steps to A+, IB, Estrella Mt Elementary. Convenient to Shopping, Amazon, Macy, Luke, Indians Ballfield, Wigwam Resort, Coming: UPS & Aldi warehouses. 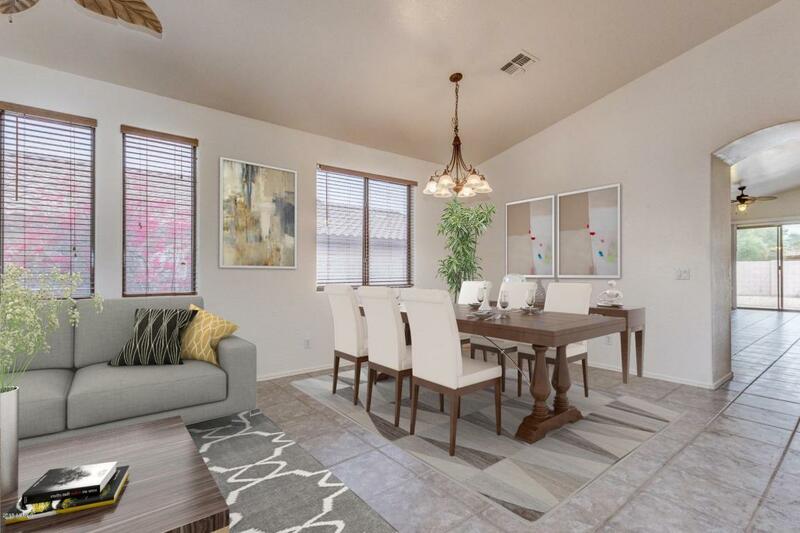 HOA includes, Starpointe & Presidio Residents' Clubs, hiking, biking, fishing, boating, trails, bmx park, pickleball, sporting facilities, parks..Starpointe Residents' Club offers lakeside dining at Lakeside grill, as well as Happy Hour on the Patio under misters. Starpointe is complete with a waterpark, heated lap pool, cafe, library, fitness center & classrooms, youth club, meeting rooms for rent... Enjoy a family Wedding or Reunion at Starpointe's meeting room or event lawn. Also included in your dues, Presidio Residents' Club featuring a year round heated pool with a splash pad, building with outdoor showers, mountain views, beautiful social space, great room with fireplace, game/entertainment room perfect for sporting and family gatherings, demonstration kitchen, event lawn, fire pits to relax by, 3400sf, state of the art fitness center,... the list goes on and on. Enjoy happy hour, pizza or a delicious dinner at Casa Del Mar Rest. inside Presidio. In addition, Community features outdoor living with lakes, fishing, yacht club, boating, hiking, biking, trails, tennis, pickleball, volleyball, bmx park, sporting facilities, fields, numerous parks....Join in on organized activities via the HOA, some included at no cost, others a minimal fee. Incredible features are included in your low monthly HOA dues. You name it! Estrella is known to be the best value out there when comparing HOA amenities and cost! It has also won #1 Master Planned Community. Visit Lifeinestrella.com. 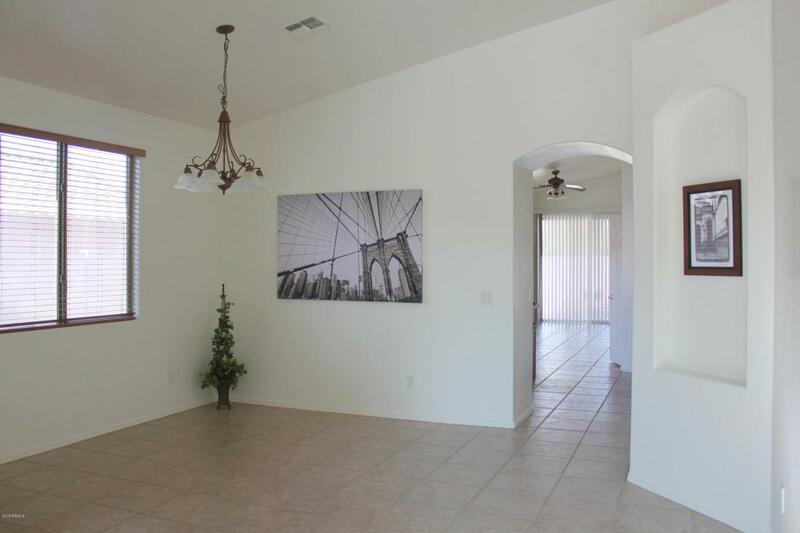 Make Estrella and this lovely home your new year round home or perfect vacation retreat. Future home of Well Springs Park in Goodyear!.